Bake: 350 for 20 minutes or longer for crispier balls! This is a well balanced and nutritious meal. 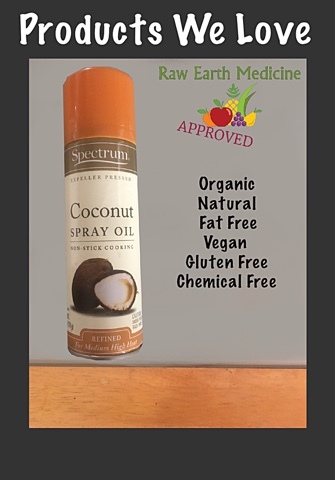 The ingredients are all beneficial to your health and feed your body a great amount of nutrients, vitamins, minerals, carbohydrates and protein. It's low in fat, vegan, has no GMO's, has a low amount of processing chemicals, is gluten free and has an absolutely delicious smokey flavor. Cooking tip: I keep a few extra Simply Organic spice packets on hand. 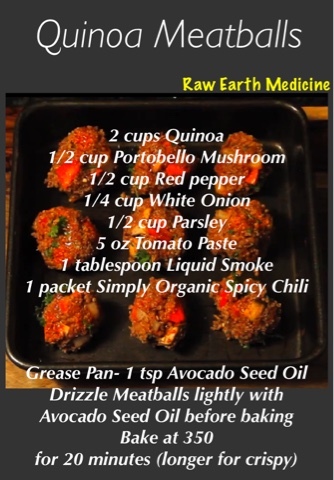 They make it easy for me to put together a healthy meal on a night where I don't feel like having to think up what to make but want something flavorful, healthy and satisfying. 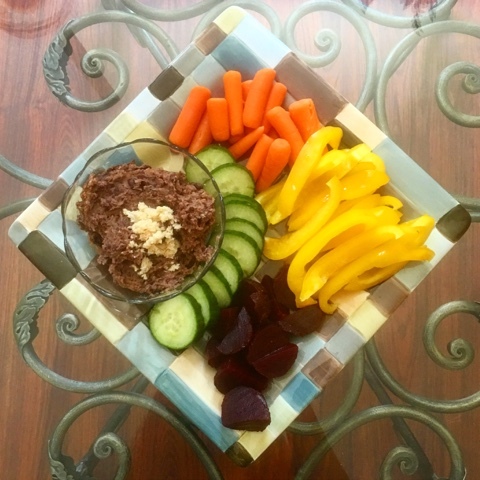 Black Bean Dip with Cucumbers, Yellow Peppers, Beets and Carrots! Blend in Food Processor or good old fashion elbow grease. The black bean's fiber, potassium, folate, vitamin B6 and phytonutrient content, coupled with its lack of cholesterol, all support heart health. The fiber in black beans helps lower the total amount of cholesterol in the blood and decrease the risk of heart disease. Yellow bell peppers are a good source of vitamin C, fiber, protein and iron. They have a very sweet taste and can accentuate the flavor of most ingredients you add to a dish. Beets are high in immune-boosting vitamin C, fiber, and essential minerals like potassium which is essential for healthy nerve and muscle function, and manganese which is good for your bone health, liver functions, kidney functions, and pancreas. Beets also contain the B vitamin folate, which helps reduce the risk of birth defects. Carrots contain high levels of beta carotene and fiber. 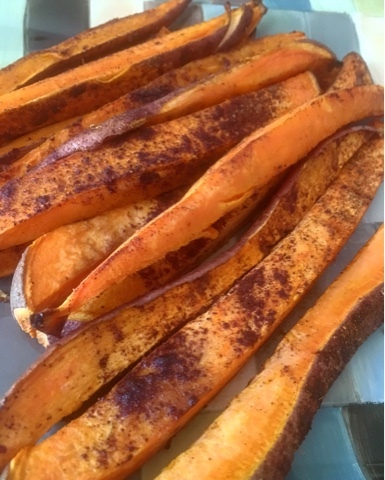 This root vegetable is a good source of antioxidant agents as well, that support healthy visions, skin and teeth. Carrots are also, rich in vitamin A, Vitamin C, Vitamin K, vitamin B8, pantothenic acid, folate, potassium, iron, copper, and manganese. This healthy snack feeds your body the nutrition it needs to support your bodily functions while reducing your risk for disease. 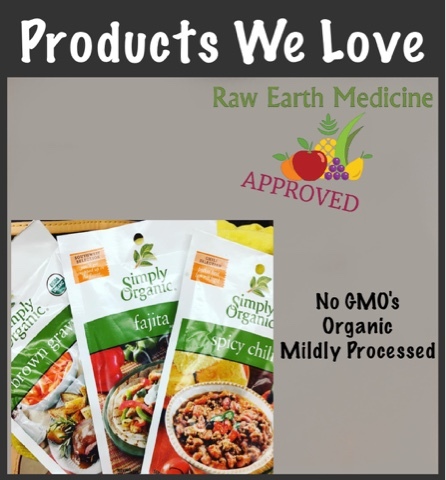 It has no fat, no chemicals, no GMO's, is gluten free, vegan and extremely delicious. 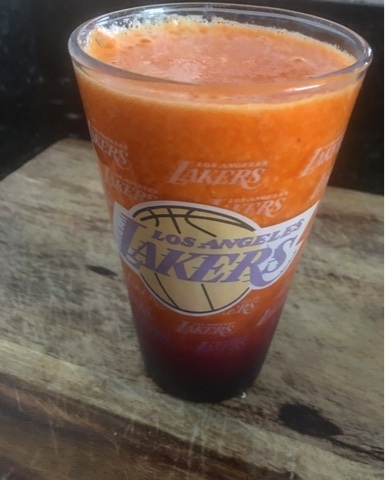 This juice is so refreshingly delicious, it'll make the sun shine through a storm and even give a #lakers fan hope again!